Bronsolino’s new album Mr. Wonderful is out now, featuring fresh collabs with his partner in crime Party Supplies. Grab it on iTunes and check AB speaking on his illustrious cover art history (including Dust La Rock’s Blue Chips sleeve) here. Party Supplies’ debut album Tough Love (and accompanying remix EP) are still smoking out a speaker near you. Fans have been clamoring for a physical edition of Party Supplies’ debut album Tough Love, and we are psyched to oblige! You might know PS from their jammy live sets or acclaimed hip-hop production for Action Bronson, Cam’ron and more. But Tough Love is the truest distillation of the Party Supplies vibes yet, filled with classic rock-inspired sing alongs over MPC beats. Get this must-have album on limited edition vinyl LP and CD, complete with remixes from The Knocks and Lazerdisk, handwritten credits, and a beautiful gatefold jacket perfect for breaking up smokeables of your choice. Get it now at store.foolsgoldrecs.com and quality record shops worldwide. Party Supplies are playing a very special Halloween edition of Check Yo Ponytail in Brooklyn with The Presets, Antwon, Chela & Franki Chan. Visit our twitter for information on how you could win a pair of tickets! Listen to “The Light In The Addict” below & buy Tough Love on iTunes. Ticket information here & peep the flyer after the jump. 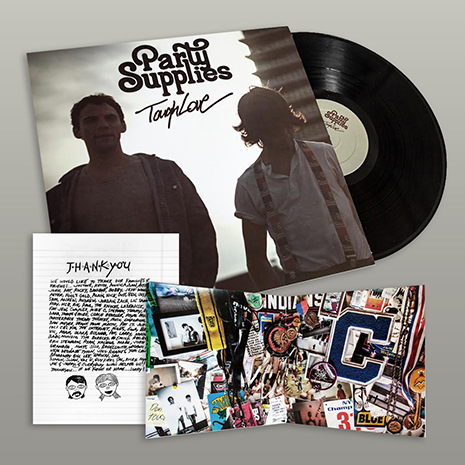 Party Supplies burst out of the gate swinging with the one-two punch of debut album Tough Love and the beloved Blue Chips mixtapes, establishing a signature sound that mixes woozy classic rock chops with head-nodding MPC hip-hop like none other. They ride that vibe even further into the sunset on jammy new song “The Light In The Addict,” featuring guest vocals from Blue Chips collaborator Action Bronson and PS’ label mate Black Atlass. You can hear the collaboration exclusively on SoundCloud courtesy of Sonos. We are re-releasing Party Supplies debut LP Tough Love on limited edition vinyl and CD out 11/25 at store.foolsgoldrecs.com and select record stores worldwide. Get Tough Love on iTunes and the Beautiful Girl / Going Back To New York Remixes as well! Party Supplies will be DJing at Good Life in Boston (28 Kingston St) with Sammy Bananas this Saturday, 10/11. Flyer after the jump! 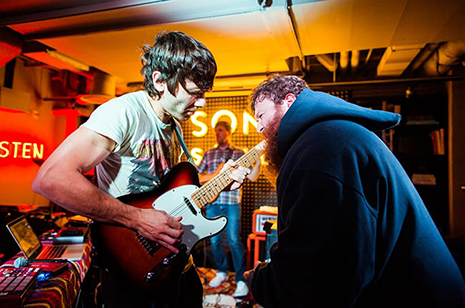 Party Supplies is a NYC band like no other, dropping mind-melting rap beats one minute (like Action Bronson’s current single “Easy Rider” and the BET Hip Hop Award-nominated Blue Chips 2) before turning around with jangly singalongs like brand new Soundcloud jam “Ohio” the next. Our homie Action Bronson leads us on a spiritual journey to find himself with the help of Party Supplies on the production. “Easy Rider” is a full out homage to all the greats and is no doubt a sign that AB is on his way to legendary status. 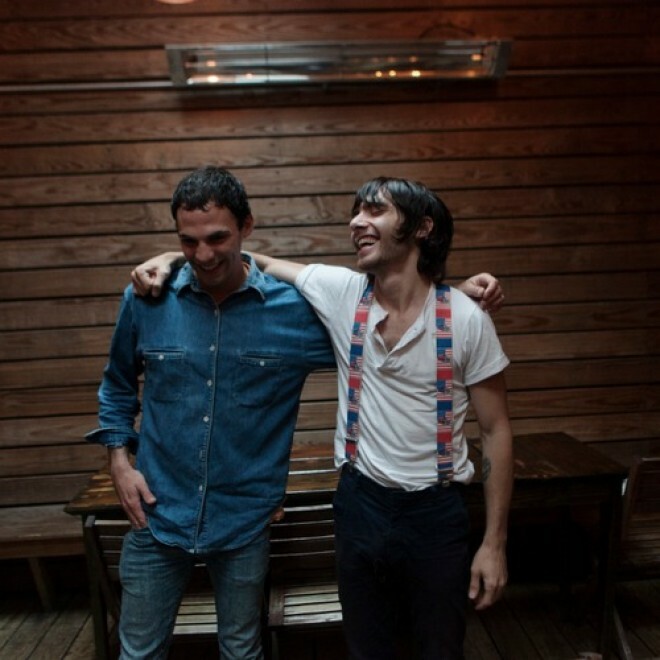 Be on the lookout for more music from both these gentlemen and more music from Party Supplies soon! 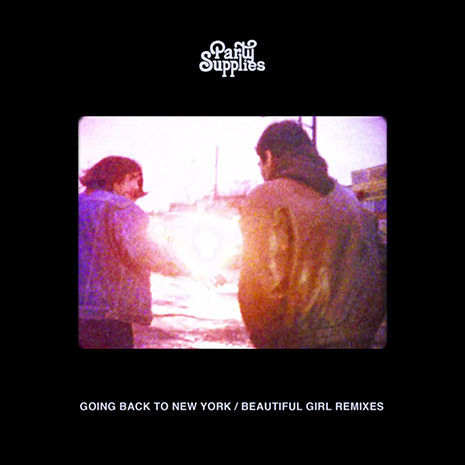 Buy Party Supplies’ Going Back to New York / Beautiful Girl Remixes EP now! Action Bronson teams up with Party Supplies once again to ride into the sunset with “Easy Rider” off of Action Bronson’s upcoming album Mr. Wonderful. Allow these two to be your shamans as they guide you into the night with this psychedelic and extra wavy track. 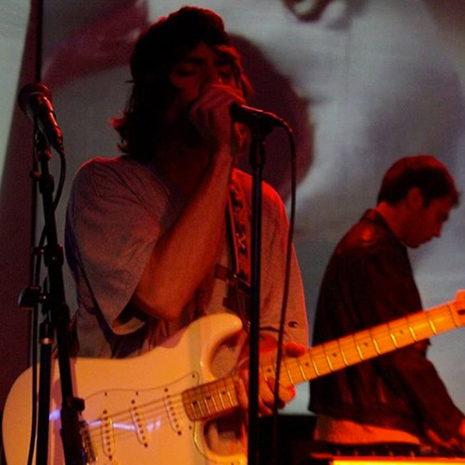 Buy Party Supplies’ Going Back to New York / Beautiful Girl Remixes EP! New York’s two shiniest record labels have joined forces for a night of handclaps ‘n house at Westway! 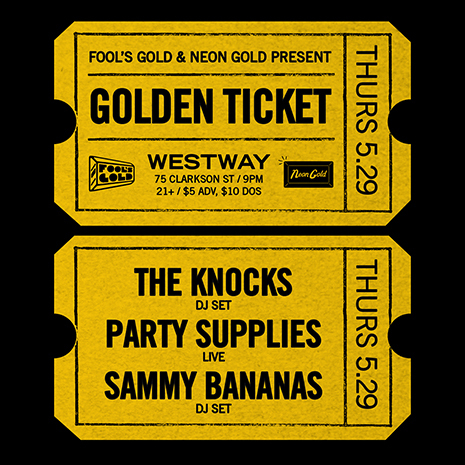 Fool’s Gold and Neon Gold present “Golden Ticket,” going down Thursday, May 29 with The Knocks and Sammy Bananas on the turntables and a live set from Party Supplies. Advance tickets are just $5, get yours now!